Lead the Rebels into intergalactic battle with the X-Wing Starfighter! Take to the stars in the classic X-Wing Starfighter! 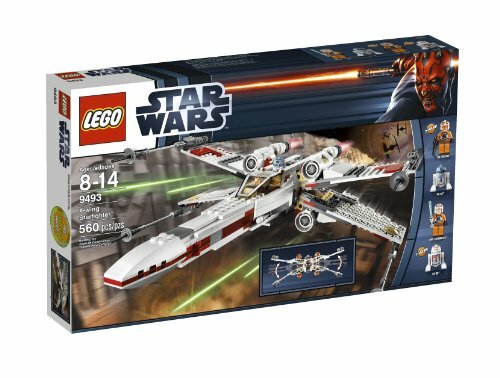 Featuring wings that fold into attack mode, proton torpedoes, retractable landing gear and opening cockpit, this most iconic vehicle of the Star Wars universe returns to turn the tide in the battle against the evil Empire! Includes 4 minifigures: Luke Skywalker, Jek Porkins, R2-D2 and R5-D8.